We have a few more slots left for TEAM 26. Apply Now! Our training schedule for this batch is on March 10 to April 19. We are extending our scholarships to Former Drug Dependents, Former Prisoners, Prostituted Women and Solo Parents. Join us and be part of our growing community. For the past three years, Virtualahan has been soaring in places all over the world. It has inspired thousands with the cause it brings in changing the world, eliminating social stigma amongst disadvantaged people. Being a virtual company, made it faster and easier to cross continental borders in spreading its impact formula. But it comes with pros and cons. Yes, there is consistent digital connectivity even in significantly distant places. But it is undeniable that there is a challenge in doing personal reach among all the community members. This 2019, Ryan made sure to personally meet our coaches and scholars from Visayas. 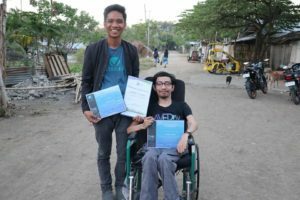 Last February 18-23, he set a five-day trip to west Visayas. He got to witness first hand, the beach, the sand, and the wonderful people from Bacolod, Roxas, and Negros. It was, indeed, the start of more Visayas trips! Thank you Virtualahan Visayas for the warm welcome! It is a difficult month to all of us especially to Team 23. 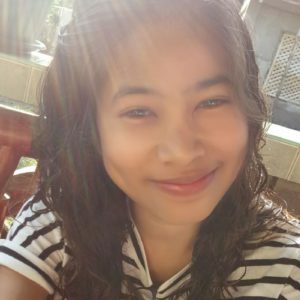 We received a sad news that our dear student and friend, Rea Abique, died last December 15 last year. Losing someone we dearly love isn’t easy. This is why we need all the prayers we could give to her direct family, friends and Virtualahan community. Grief may hover us now but it won’t linger because despite it all, wonderful memories remain in us. Matthew 5:4 “Blessed are those who mourn, for they will be comforted.” There is, indeed, an assurance of comfort after all sorrows. There is good news for 2019! Virtualahan is expanding and magnifying its cause in helping people. This year, scholarships are open not only to PWD but also to former drug dependents, solo parents, out-of-school youth and indigenous peoples. 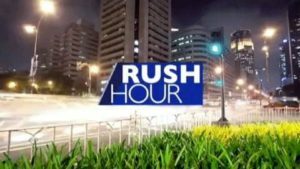 The announcement was aired on the national TV program, Rush Hour of Cignal TV One News Now. 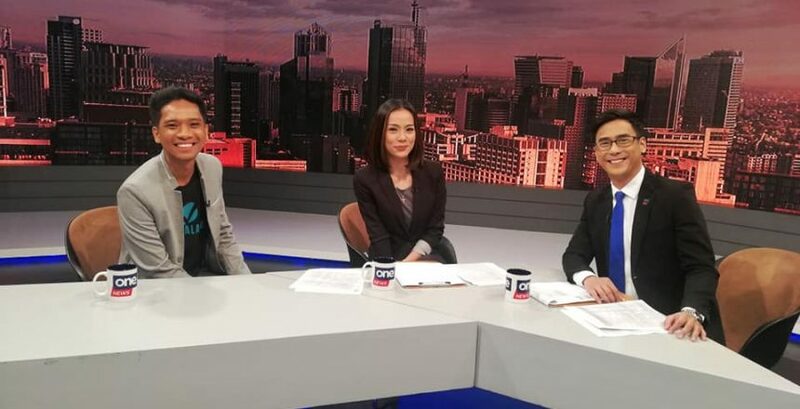 Ryan excitedly shared the good news with the program hosts, Shawn Yao and Charles Lejano last February 8. Definitely, this expansion will bring economic growth to many hopefuls who belong to the said social spectrum. Virtualahan is more than excited! Behind every good website, is an artist who makes things happen. One of the things Virtualahan is proud of is the fact that it has a team of talented and hardworking people. People who selflessly dedicate their time, skills, and effort in every task. Coach Ronniel is one of them. He was onboarded to be part of the Virtualahan working staff to do a wide range of tasks in web designing, web management, graphic designing and student coaching. He is the go-to person in all these specialized skills. And for the past two years since he has been employed, he hasn’t seen in person any of his workmates. 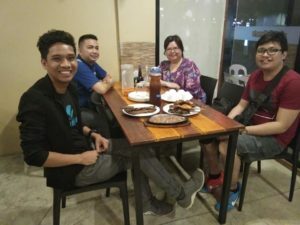 For the first time, he was able to see no less than the CEO of Virtualahan, Ryan Gersava who purposely visited him in his hometown in Roxas City. Coach Ryan personally carried with him Coach Ronniel’s well-deserved awards and recognitions for his tireless and selfless service for the company. Last 2018 he was awarded as “The Most Outstanding Virtualahan Staff”! Your Virtualahan family is blessed to have you! Continue to inspire us everyday with your dedication and hard work. This February, love is not the only thing in the air. 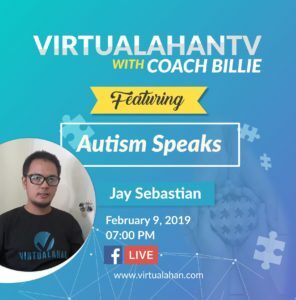 Love and Understanding filled our Facebook page as Jay Sebastian detailed his personal account on what it is like to live in the autism spectrum, and Ritchell De Loyola shared her battle with Lupus last February 11 and 26, respectively. Each shared the challenges, struggles and perks of their conditions. If you missed the sessions, you can still watch the recorded sessions or read their stories on our Virtualahan website page. Our Virtualahan family congratulates our newly employed students, Janice and Reynaldo. Welcome to the daily online grinding. It is a stressful, yet fulfilling career. Enjoy the most of it! Congratulations again coming from us!